Ida Kane is Chief Financial Officer for AppFolio. Ida is responsible for AppFolio's financial strategy as well as legal and administrative operations. Her team works closely with all departments to ensure the company grows quickly and stays on track with our financial plan. Previously, Ida served as CFO of Rightscale, Inc., a leader in cloud portfolio management. 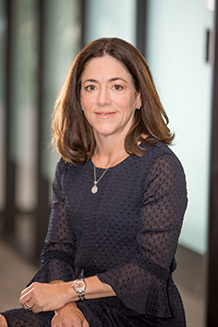 Before Rightscale, Ida served as CFO and Senior Vice President of NASDAQ-listed thinkorswim Group Inc., a leading online brokerage and investor education firm. Ida has held various executive-level financial and operational management positions for other publicly-traded and private companies including, a divisional CFO and Vice President of Operations at FranklinCovey. Ida received her B.S. and MBA degrees in accounting from the University of Miami, Florida, and earned her CPA license from the State of Florida. When Ida isn’t leading the company’s financial strategy she’s likely running a marathon or enjoying the trails of Santa Barbara.